Ski to Lech up to -70% off To take advantage of these offers, join now for free! If you’re looking for a peaceful holiday with plenty to see and do for the whole family, visit the picturesque village of Lech. Set high up in the breath-taking Arlberg Valley, this historical village dates all the way back to the 14th century, making it perfect for travellers looking to delve into a fascinating history. Boasting charming shops and cafés, as well as an exceptional outdoor swimming pool, you can rely upon a perfect balance between relaxation and activity. And, if you have a particular fondness for adventurous hikes, the unspoilt scenery of this area creates a perfect backdrop for hiking with the family. A blend of effortlessly romantic settings with spectacular scenic surroundings, interesting historical aspects and sporty ventures available, this destination provides a pleasing getaway for the whole family. The Hotel Gasthof Post has not merited it’s five stars for no reason, and with its hand-painted woodwork and tiled stoves, is undeniably full of character. With its authentic charm, travel here to fall back in love with history and to experience a perfect break from the hustle of city life. Impressively, every day you are treated to a free daily gourmet dinner, allowing you to expand your tastes and to fully immerse yourself into Austrian culture. Anybody with a taste for classical elegance and with a hunger for true relaxation and exciting activities would find this break a hard one to forget. Whilst visiting the mountain village of Lech, take advantage of the hotel’s luxurious “Post Beauty & Spa” Wellness Oasis for Body and Soul. You will find a professional, experienced team ready to give you a tailored pamper programme after a long day of adventurous hikes! In a setting so quietly magnificent, we would highly recommend taking in the sites. You could do this by means of a relaxed walk around the traditional village or venture out to complete a more daring hike available to book with the hotel. Skiing, mountaineering, hiking and other fast-paced outdoor activities. Push your limits and improve your skills whilst experiencing the area. Such as Wine Tasting in the hotel’s own “Bond Store”, free use of walking buses, cable cars, tennis courts, a private swimming area for kids, use of a driving range, a well-equipped fitness room, Taxi or Bus Transfers for guided hikes and even benefit from 25% discount on green fees at the 18-hole Braz golf course with the use of the Active Inclusive Card. Whilst visiting Hotel Gasthof Post, make sure to take advantage of the delicious food produced in the Post-Café. Here you will be served lunch, afternoon coffee and the famous home-made strudel which is a popular part of Austrian Cuisine and a great way to experience all that Lech has to offer. Once off the slopes, the bar is a popular place to socialise from après ski to midnight. 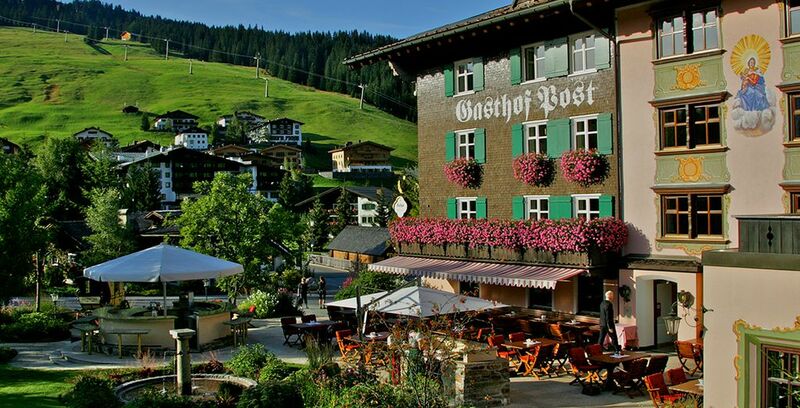 Offering an impeccable standard of service, the Hotel Gasthof Post is a former post house and has been successfully run by the same family since 1937. This provides a very personal feel to the hotel. Over the years, this loved, and sizeable farmhouse has evolved into a small luxury hotel which now can be gratefully appreciated by people who want to experience Austria. Each room in the hotel is extraordinarily individual, offering its own set of history. Whilst all this time has elapsed, there is a certain timelessness that is captured within this farmhouse’s thick walls, and it has kept its enduring elegance. This offer is based on a Herzog suite. You can look forward to a daily newspaper, a welcome gift in your room and black polished shoes every morning outside the door! An idealistic and restful room; it brags a double bed, screened-off living room, a polished bathtub, toilet and shower with steam bath. Each room is equipped with a comforting open fireplace or a tiled stove. How to get to Lech? Flights included are all either scheduled or with a no-frills airline which is subject to availability and can be subject to price changes. Ensure that you select your flight options with care, as departure and arrival times may vary. You can choose which flight times you would like as part of the booking process. If needed, there are flights available to Innsbruck which is located closer (115km or 1hr 30 mins) however we have included flights to Zurich. This is further away, however, there are more travel options to reach the region. Make sure to prepare for brisk weather and bring warm essentials. Especially if travelling in the winter times, the ground can become hardened and icy so make sure to pack the appropriate footwear. If you are travelling in the warmer months, prepare for showers and make sure to pack lighter layers. 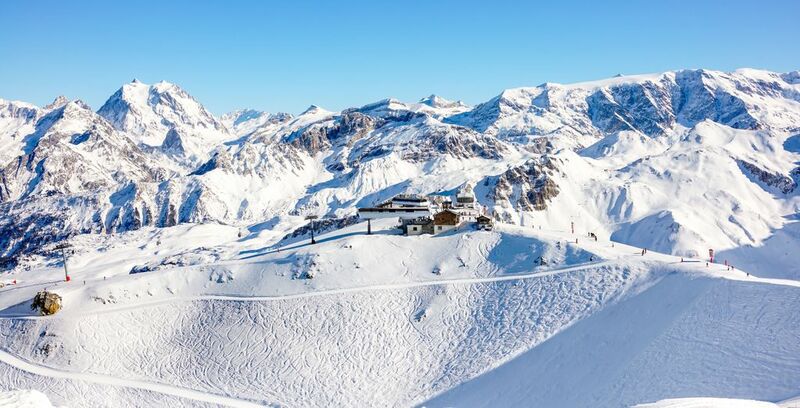 What is the best time to ski at Lech, Austria? We would recommend skiing around springtime in Lech, since this tends to be when the snow is freshest and at its deepest! We would always recommend talking to a ski expert before hitting the slopes for personalised advice. What budget to plan for ski holidays to Lech? Whilst there are lots of essentials included already, to be able to get involved with all the other activities on offer, it is wise to have a slightly larger budget. This will enable you to book ski courses, which range from around € 82,00 to €660,00. 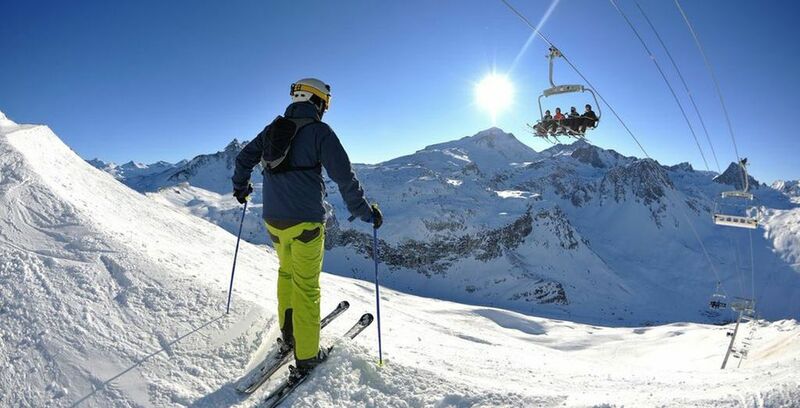 Discover more Austria ski holidays: St Anton ski holidays, Obergurgl ski holidays, kitzbuhel ski holidays, ski holidays.